People have different ideas about how valuable things are. Before I was about fifteen the meaning of this was ambiguous. I think I assumed that a tree for instance has some inherent value, and that when one person wants to cut it down and another wants to protect it, they both have messy estimates of what it’s true value is. At least one of them had to be wrong. This was understandable because value was vague or hard to get at or something. In my year 11 Environmental Science class it finally clicked that there wasn’t anything more to value than those ‘estimates’. That a tree has some value to an environmentalist, and a different value to a clearfelling proponent. That it doesn’t have a real objective value somewhere inside it. Not even a vague or hard to know value that is estimated by different people’s ‘opinions’. That there is just nothing there. That even if there is something there, there is no way for me to know about it, so the values I deal with every day can’t be that sort. Value had to be a function of things: the item being valued and the person doing the valuing. I was somewhat embarrassed to have ever assumed otherwise, and didn’t really think about it again until recently. It occurred to me recently that a long list of strange things I notice people believing can be explained by the assumption that they disagree with me on whether things have objective values. So I hypothesize that many people believe that value is inherent in a thing, and doesn’t intrinsically depend on the agent doing the valuing. People don’t necessarily say this explicitly, but often seem to implicitly believe it. Why it’s false: In most cases where two people are willing to trade, this is because the values they assign to the items in question are such that both will gain by having the other person’s item instead of their own. Why it’s believed: There’s a total amount of value shared somehow between the people’s posessions. Changing the distribution is very likely to harm one party or the other. It follows that people who engage in trade are suspicious, since trades must be mostly characterized by one party exploiting or fooling another. Why it’s false: Assume exploiting someone implies making their life worse on net. Then in the cases where trade is exploitative, the exploited party will decline to participate, unless they don’t realize they are being exploited. Probably people sometimes don’t realize they are being exploited, but one is unlikely to persist in doing a job which makes one’s life actively worse for long without noticing. Free choice is a filter: it causes people who would benefit from an activity to do it while people who would not benefit do not. Why it’s believed: If a person is desperate he might sell his labor for instance at a price below its true value. Since he is forced by circumstance to trade something more valuable for something less valuable, he is effectively robbed. Why it’s false: Again, free choice is a filter. The people who choose to do these things presumably find them better than their alternatives. Why it’s believed: If most people wouldn’t be prostitutes, it follows that it is probably quite bad. If a small number of people do want to be prostitutes, they are probably wrong. The alternative is that they are correct, and the rest of society is wrong. It is less likely that a small number of people is correct than a large number. Since these people are wrong, and their being wrong will harm them (most people would really hate to be prostitutes), it is good to prevent them acting on either their false value estimates. Why it’s false: Again, choice is a filter. For an arbitrary person doing X, it might terrible, but it is still often good for people who want it. Plus, being forced to do a thing often decreases its value. Why it’s believed: Very similar to above. The value of X remains the same, regardless of who is thinking about it, whether they are forced to do it. That a person would choose to do a thing others are horrified to have pressed on them, that just indicates that the person is mentally dysfunctional in some way. Why it’s false: On a simple model, most trades benefit both parties, so being rich indicates that you have contributed to others receiving a large amount of value. Why it’s believed: On a value realism model, in every trade, someone wins and someone loses, anyone who has won at trading so many times is evidently an untrustworthy and manipulative character. Why it’s false: In some sense it’s true—the rich countries don’t altruistically send a lot of aid into the poor countries. Beyond that there’s no obvious connection. Why it’s believed: There’s a total amount of value to be had in the world. The poor can’t become richer without the rich giving up some value. Why it’s not obviously true: The value of products depends on how people feel about them, so it is possible to create value by changing how people feel about products. Why it’s believed: Products have a fixed value. Changing your perception of this in the direction of you buying more of them is cheatful sophistry. Is my hypothesis right? Do you think of value as a one or two place function? (Or more?) Which of the above beliefs do you hold? Are there legitimate or respectable cases for value realism out there? (Moral realism is arguably a subset). Is it obvious that pain is very important? “Never, for any reason on earth, could you wish for an increase of pain. Of pain you could wish only one thing: that it should stop. Nothing in the world was so bad as physical pain. In the face of pain there are no heroes, no heroes […]. –George Orwell, 1984 via Brian Tomasik , who seems to agree that just considering pain should be enough to tell you that it’s very important. It seems quite a few people I know consider pain to have some kind of special status of badness, and that preventing it is thus much more important than I think it. I wouldn’t object, except that they apply this in their ethics, rather than just their preferences regarding themselves. For instance arguing that other people shouldn’t have children, because of the possibility of those children suffering pain. I think pain is less important to most people relative to their other values than such negative utilitarians and similar folk believe. One such argument for the extreme importance of pain is something like ‘it’s obvious’. When you are in a lot of pain, nothing seems more important than stopping that pain. Hell, even when you are in a small amount of pain, mitigating it seems a high priority. When you are looking at something in extreme pain, nothing seems more important than stopping that pain. So pain is just obviously the most important bad thing there is. The feeling of wanting a boat and not having one just can’t compare to pain. The goodness of lying down at the end of a busy day is nothing next to the badness of even relatively small pains. I hope I do this argument justice, as I don’t have a proper written example of it at hand. An immediate counter is that when we are not in pain, or directly looking at things in pain, pain doesn’t seem so important. For instance, though many people in the thralls of a hangover consider it to be pretty bad, they are repeatedly willing to trade half a day of hangover for an evening of drunkenness. ‘Ah’, you may say, ‘that’s just evidence that life is bad – so bad that they are desperate to relieve themselves from the torment of their sober existences! So desperate that they can’t think of tomorrow!’. But people have been known to plan drinking events, and even to be in quite good spirits in anticipation of the whole thing. It is implicit in the argument from ‘pain seems really bad close up’ that pain does not seem so bad from a distance. How then to know whether your near or far assessment is better? You could say that up close is more accurate, because everything is more accurate with more detail. Yet since this is a comparison between different values, being up close to one relative to others should actually bias the judgement. Perhaps up close is more accurate because at a distance we do our best not to think about pain, because it is the worst thing there is. If you are like many people, when you are eating potato chips, you really want to eat more potato chips. Concern for your health, your figure, your experience of nausea all pale into nothing when faced with your drive to eat more potato chips. We don’t take that as good evidence that really deep down you want to eat a lot of potato chips, and you are just avoiding thinking about it all the rest of the time to stop yourself from going crazy. How is that different? Are there other reasons to pay special attention to the importance of pain to people who are actually experiencing it? Added: I think I have a very low pain threshold, and am in a lot of pain far more often than most people. I also have bad panic attacks from time to time, which I consider more unpleasant than any pain I have come across, and milder panic attacks frequently. So it’s not that I don’t know what I’m talking about. I agree that suffering comes with (or consists of) an intense urge to stop the suffering ASAP. I just don’t see that this means that I should submit to those urges the rest of the time. To the contrary! It’s bad enough to devote that much time to such obsessions. When I am not in pain I prefer to work on other goals I have, like writing interesting blog posts, rather than say trying to discover better painkillers. I am not willing to experiment with drugs that could help if I think they might interfere with my productivity in other ways. Is that wrong? How much do you really love the internet? Would you give up the internet for a million dollars? The first one looks safer. But people change partners a lot, which suggests for many there is much less than a million dollars expected difference between one’s partner and the next best alternative, since the next best alternative frequently scales that gap and becomes the best. If every time a person changed partners the relative value of the new and old partners had changed by around two million dollars in the new partner’s favor, people should pretty soon stop expecting their current partner to be worth so much in the long run. It’s easy to offer the internet endless love while nobody ever offers you much reward for giving it up. Relationships are an interesting ‘sacred value’ to compare because we really are frequently in a position to give one up permanently for some other benefit. …like prisoners being held in a sort of limbo, unable to break through into the world of the living. If they have rights, then surely we are required to help some of them escape. Benefit and harm are comparative notions. If something benefits you, it makes your life better than it would have been, and if something harms you it makes your life worse than it would have been. To determine whether some event benefits or harms you, we have to compare the goodness of your life as it is, given the event, with the goodness it would otherwise have had. The comparison is between your whole life as it is and your whole life as it would have been. We do not have to make the comparison time by time, comparing each particular time in one life with the same time in the other life. That is John Broome explaining why death harms people even if they hold that all benefit and harm consists of pleasure and pain, which are things that can’t happen when you are dead. The same goes for potential people. Yes, you can’t do much to a person who doesn’t exist. They don’t somehow suffer imaginary pains. If someone doesn’t exist in any possible worlds I agree they can’t be helped or harmed at all. What makes it possible to affect a potential person is that there are some worlds where they do exist. It is in the comparison between these worlds and the ones where they don’t exist where I say there is a benefit to them in having one over the other. The benefit of existing consists of the usual things that we hold to benefit a person when they exist; bananas, status, silly conversations, etc. The cost of not existing relative to existing consists of failing to have those benefits, which only exist in the world where the person exists. The cost does not consist of anything that happens in the world where the person doesn’t exist. They don’t have any hypothetical sorrow, boredom or emptiness at missing out. If they did have such things and they mattered somehow, that would be another entirely separate cost. Often it sounds crazy that a non-existent person could ‘suffer’ a cost because you are thinking of pleasures and pains (or whatever you take to be good or bad) themselves, not of a comparison between these things in different worlds. Non-existent people seem quite capable of not having pleasures or pains, not having fulfilled preferences, not having worthwhile lives, of not having anything at all, of not even having a capacity to have. Existent people are quite capable of having pleasures (and pains) and all that other stuff. If you compare the two of them, is it really so implausible that one has more pleasure than the other? ‘Potential people’ makes people think of non-existing people, but for potential people to matter morally, it’s crucial that they do exist in some worlds (in the future) and not in others. It may be better to think of them as semi-existing people. I take it that the next counterargument is something like ‘you can’t compare two quantities when one of them is not zero, but just isn’t there. What’s bigger, 3 or … ?’ But you decide what quantities you are comparing. You can choose a quantity that doesn’t have a value in one world if you want. Similarly I could claim all the situations you are happy to compare are not comparable. Getting one hundred dollars would not benefit you, because ‘you without a hundred dollars’ just won’t be around in the world where you get paid. On the other hand if you wanted to compare benefits to Amanda across worlds where she may or may not exist, you could compare ‘how much pleasure is had by Amanda’, and the answer would be zero in worlds where she doesn’t exist. Something makes you prefer an algorithm like ‘find Amanda and see how much pleasure she has got’, where you can just fail at the finding Amanda bit and get confused. The real question is why you would want this latter comparison. I can see why you might be agnostic, waiting for more evidence of which is the true comparison of importance or something, but I don’t recall hearing any argument for leaping to the non-comparable comparison. In other cases it is intuitive to compare quantities that have values, even when relevant entities differ between worlds. 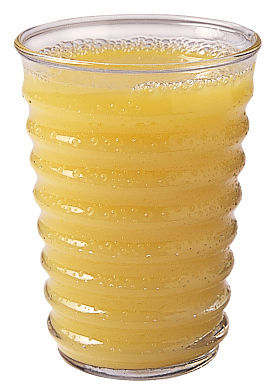 Would you say I have no more orange juice in my cup if I have a cup full of orange juice than if I don’t have a cup or orange juice? I won’t, because I really just wanted the orange juice. And if you do, I won’t come around to have orange juice with you. I have talked about this a bit before, but not explained in much detail. I’ll try again if someone tells me why they actually believe the comparison between a good life and not existing should come out neutral or with some non-answer such as ‘undefined’. Or at least points me to where whichever philosophers have best explained this.